LUCY BURDETTE: Coming from the "fish stick generation," fish is something I don't have complete confidence in cooking. Shrimp I can do. Crab cakes sure. But fish? Not so much. Especially when Key West restaurants do it so well. 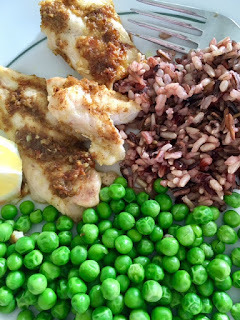 But when our neighbor gave us fresh yellowtail snapper (caught by his son that very morning,) and when Melissa Clark offered a tasty sounding recipe in the New York Times that also looked easy, how could I resist? This is a flexible recipe so ingredients can be adjusted according to your taste. 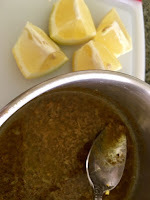 Melt the butter in a small pan, add the curry powder, fresh garlic, and ginger, and heat for a minute or two until the flavors are combined. Stir in the zest. 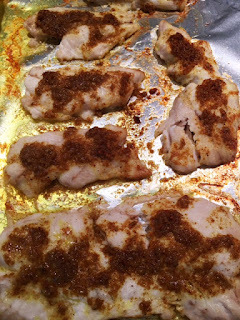 Place the fish fillets on a small, rimmed baking sheet. (I covered mine with foil first.) Heat the oven to broil. Spread the sauce and its butter over the fish, and broil until done, or just flaky. Probably not much more than five minutes. Serve with lemon wedges, rice, and a vegetable or salad. I still say Seven Fish restaurant in Key West does fish better than I could imagine cooking myself, but this was pretty darn tasty. “The best starter isn’t on the regular menu, though it’s almost always offered: Sautéed grouper roll. (Or mahi mahi if the ban on fishing grouper holds.) Prepare your taste buds for a mélange of sweet, fresh fish, buttery avocado, and sauce-absorbing rice, all wrapped in a crispy tissue of seaweed. Incredible! The fish tacos are almost as good—under no circumstances neglect the spicy cole slaw that comes on the side. If you need to eliminate some choices, the crab cake has a larger ratio of cake to crab than this reviewer prefers, and salads are above average but skippable if you’re saving room for dessert. Above all, do save room for dessert! Like the strawberry whipped cream pie, a tangle of sweet berries sunken into a bed of rich whipped cream complemented by the exquisite surprise of a chocolate graham cracker crust. If bananas flambé isn’t a choice you’d usually make, make an exception. The key lime cheesecake is rich and creamy, but a little short on lime. Then I went on to describe Seven Fish’s main dishes in the twenty-five words I had left. I recommended the sea scallops over mashed potatoes, issued a richness alert on the gnocchi dressed with mellow blue cheese and sautéed fish, and began to tackle my mixed feelings about ordering meatloaf or chicken in a restaurant featuring “fish” in the name. 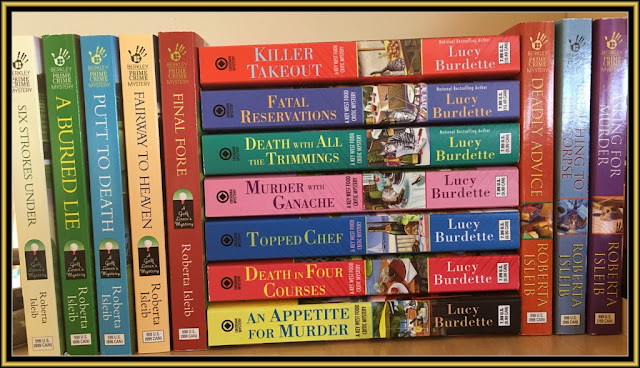 LUCY BURDETTE WRITES THE KEY WEST FOOD CRITIC MYSTERIES. YOU CAN FIND THEM WHEREVER BOOKS ARE SOLD! Even though he grew up in New York State, my father was always a big fan of fish. Wherever he lived, he knew where the nearest fish-seller was, and he even had a surf-casting rod for our vacations at the Jersey Shore. So I'm definitely a fan of fish. This sounds like a great recipe! Yes you always have great fish recipes Sheila. I don't think we ever had fresh fish in our house growing up! I'm sure with more experimenting you'll find more confidence. But with research requiring you to eat at wonderful Key West eateries, I can see it's hard to feel like cooking! Thanks for this, Roberta/Lucy! We are always looking for new fish recipes and techniques around here. This looks great. Being a little bit chicken I haven't ever tried broiling anything! I'll bet broiling fish makes it tastier than baking or sautéing in a pan. 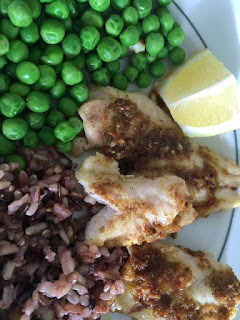 I like sautéed fish too, but this was super easy!